Several misguided beliefs about vaccinations have recently led to a resurgence of deadly diseases such as measles. Some researchers believe that a lack of understanding stems from a generation of parents who have never had to experience the horrors these diseases can cause when not impeded by modern medicine. "Vaccines cause autism or other disorders." This is probably the biggest driving force behind the anti-vaccine movement. This myth originated from a 1998 study in which Dr. Andrew Wakefield stated that there was a correlation between the rise of autism and the decrease in widespread diseases. This study has now been discredited. It turns out that Wakefield was being paid to publish the study by a law firm that intended to sue vaccine manufacturers, and it has been uncovered that all 12 patients who were part of the study were misrepresented or had altered medical histories. There have since been several other studies that proved there is no connection between autism and vaccinations. "The diseases prevented by vaccines don’t exist anymore." Some people have convinced themselves that the diseases vaccines are designed to prevent are extinct anyway, so vaccinations are pointless. Recent measles outbreaks should convince parents differently, as should the fact that in 2014 alone there were 644 measles cases in the United States. The reason vaccines were even developed for illnesses like measles is because they are highly contagious. You can still be infected by a person with measles even after he or she has left the room two hours prior, and this condition has a three-week incubation period, meaning that you are exposing other people to the disease before you are even exhibiting symptoms. The only reason diseases like this have seemingly “disappeared” is because we have figured out a way to protect ourselves: vaccines. "Vaccines will make you sick." In the past, vaccines were constructed out of live, weakened strands of a virus such as polio. Most vaccines developed today contain deactivated (or dead) agents of the disease, meaning that it is impossible for them to replicate and spread. 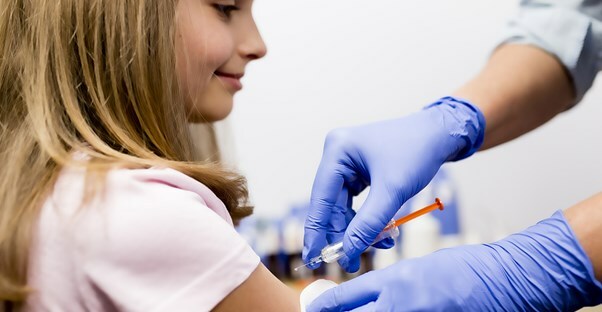 The few vaccines that do still contain any live viruses (like the chicken pox immunization) only have the potential to produce a mild illness, such as a little fever and rash. This relative discomfort is pleasant compared the actual contraction of the illness itself. "Vaccines contain mercury and other toxic chemicals." This myth originates from the 1930s, when some vaccinations contained thimerosal, a preservative that contains a very low concentration of mercury. The purpose of this ingredient was to prevent the growth of potentially dangerous bacteria and fungus. Since then, most vaccinations do not contain any mercury, and the ones that do have a very small trace. The FDA maintains that after many studies, there is no reason to believe that it has caused any side effects. Many people believe that the only reason vaccinations are promoted is because doctors and insurance companies profit from the vaccinations. The fact is that studies have shown that many doctors actually lose money by giving vaccines, and most insurers pay for the cost of vaccinations to avoid paying for more serious medical conditions later.